As a member of a noble family, Messer Niccolò de’Saracini, was an important individual to know in the Sienese community. 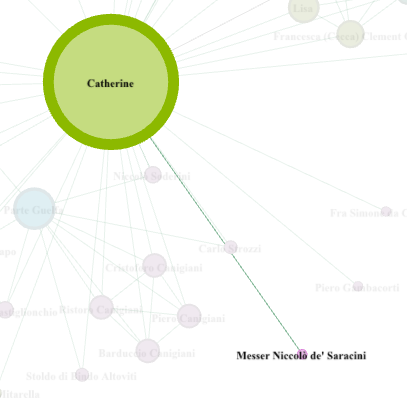 He may be a relative of Alessia dei Saracini, Catherine’s closest companion, as they share the same last name. Additionally, because of Alessia’s status from a noble family, it is safe to assume that Niccolò and Alessia are related in some fashion, to what degree I have no explicit evidence.